AGTECH opportunities will feature strongly in an international food and agriculture summit to be held in Sydney next week, examining challenges and solutions for creating a sustainable future for farming and agriculture. Rabobank’s Farm2Fork Summit, previously held three years ago, will be staged on Thursday 28 March at Sydney’s Cockatoo Island, bringing together agribusiness industry leaders, local and international farmers, food and agribusiness start-ups, and prominent ag, science and technology researchers and innovators. The one-day invitation-only event will feature international and local speakers discussing new ideas and innovations from the world of agriculture and further afield. 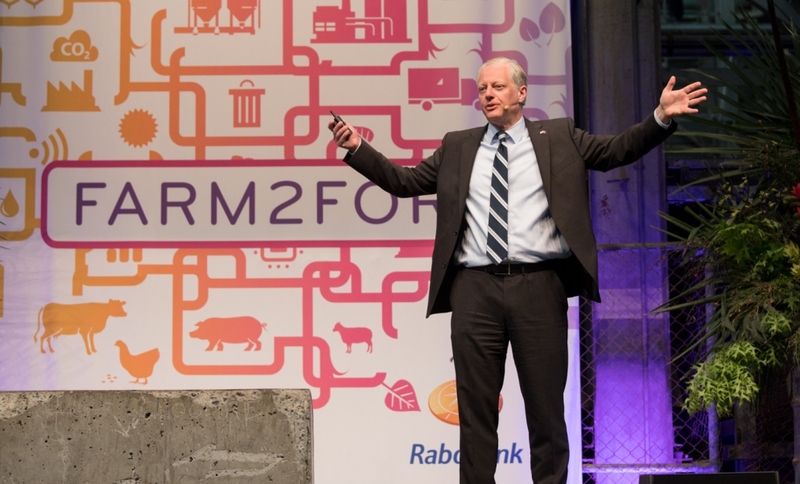 Rabobank Group executive board member Berry Marttin said the summit would examine the major issues facing agriculture and food production globally, showcasing knowledge, solutions and innovations that will help create a sustainable future in agriculture and effectively ‘grow a better world together’. The necessity and immediate benefits of proactive bio-diversity management in agricultural land. Presenters will include Federal Agriculture & Water Resources minister David Littleproud, Professor of Artificial Intelligence at the University of New South Wales Toby Walsh, humanitarian and international aid worker Linda Cruse, Rabobank global chairman Wiebe Draijer, rural entrepreneur and 2018 Rural Woman of the Year Krista Watkins and CSIRO principal scientist in the field of strategic foresight Dr Stefan Hajkowicz. The summit will also play host to an ‘Innovation Garden’ expo of ag tech and food and agri startup companies, who will exhibit their products and services. It is Rabobank’s third international summit convened in Australia, following on from the 2016 Farm2Fork event – which saw more than 1200 farmers and food and agri industry stakeholders gather – and the inaugural Rabobank F20 (Food) Summit examining global food security, held in the lead-up to the G20 in Australia in 2014. Mr Marttin said the summits were part of the cooperative Rabobank’s commitment to take a leadership role in helping facilitate a sustainable future for global food and agribusiness production and supply.